Downgrade - Injury. Coût: 0. 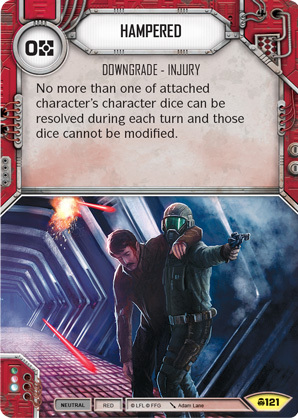 No more than one of attached character's character dice can be resolved during each turn and those dice cannot be modified.